Albendazole (ABZ) is a broad-spectrum, synthetic benzimidazole anthelmintic approved by the US FDA in 1996. However, it exhibits low oral bioavailability owing to its high lipophilicity and poor water solubility. Moreover, if such a drug molecule is projected for the therapy of a particular group of the population, for example, pediatric or geriatric, the formulation challenge is even greater with the need to manufacture a dosage form that is suitable for particular patients. Hence, the aim of the present study was to investigate electrospun polyvinyl alcohol (PVA) nanofiber films as a new delivery system adopted for the oromucosal administration of ABZ. The prepared nanofiber films were evaluated regarding their mechanical and physicochemical properties, in vitro drug release, and ex vivo permeation. Scanning electron microscopy was used to prove the formation of uniform, non-woven, smooth nanofibers. ABZ-loaded PVA nanofiber films showed ~ 5-fold improvement in the dissolution rate of ABZ as compared to ABZ alone. Additionally, an ex vivo permeation study in a goat buccal mucosa displayed 3.2-fold improvement in the permeation of ABZ from PVA nanofiber films. The prepared nanofiber films were found to be stable over the period of 3 months, confirmed from accelerated stability studies. Accordingly, electrospinning was shown to be a capable nanotechnology-based strategy for the formulation of poorly water-soluble molecules so as to improve their primary and secondary biopharmaceutical properties. Thus, oromucosal administration of drug-loaded nanofiber films could be a promising approach for pediatric or geriatric patients. The authors would like to acknowledge the support from Bharati Vidyapeeth (Deemed to be) University, Poona College of Pharmacy, Pune, Maharashtra, India. There are no funding agencies to report for this work. The present work does not involve any animal or human volunteer. Kamble, R., Bothiraja, C., Mehta, P., & Varghese, V. (2017). Synthesis, solid state characterization and antifungal activity of ketoconazole cocrystals. Journal of Pharmaceutical Investigation. https://doi.org/10.1007/s40005-017-0346-4. Gegel, N., Abramov, A., Shipovskaya, A., & Zudina, I. (2016). 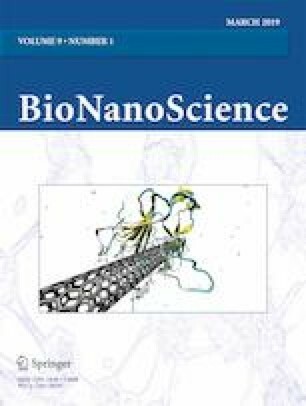 A biocidal nanocoating based on the macromolecular chitosan acetate-sodium albuminate-silver nanoparticles system. BioNanoSci. https://doi.org/10.1007/s12668-016-0210-4. Bakhtiari, M., Salehi, R., Akbarzadeh, A., & Davaran, S. (2017). Development of novel doxorubicin loaded biodegradable polymeric nanofibers as the anticancer drug delivery systems. BioNanoSci. https://doi.org/10.1007/s12668-017-0421-3. Aydogdu, M., Oprea, A., Trusca, R., Surdu, A., Ficai, A., Holban, A., Iordache, F., Paduraru, A., Filip, D., Altun, E., Ekren, N., Oktar, F., & Gunduz, O. (2017). Production and characterization of antimicrobial electrospun nanofibers containing polyurethane, zirconium oxide and zeolite. BioNanoSci. https://doi.org/10.1007/s12668-017-0443-x. Goreninskii, S., Stankevich, K., Bolbasov, E., Danilenko, N., Filimonov, V., & Tverdokhlebov, S. (2017). Surface modification of PLLA electrospun nanofiber materials for biomedical applications. BioNanoSci. https://doi.org/10.1007/s12668-017-0422-2.